Sculptra is an injectable that contains poly-L-lactic acid as one of its main ingredients. It is often packaged into a vial as a dry powder that must be reconstituted. Poly-L-lactic acid is a cosmetic filler material that, when injected into the tissues, stimulates collagen production by being targeted by the immune system as foreign bodies. This is the mechanism behind its augmentation function. This article will focus on the technical aspects of using Sculptra for facial rejuvenation. Reconstitute Sculptra at least two to seven days before treatment with 6ml of bacteriostatic water. On the day of the injection, add 3ml of lidocaine with epinephrine to make a solution of 9ml in the vial; this reduces the need to introduce a local anesthetic injection before the treatment. Do not shake the vial when attempting to mix the solution; instead, just gently roll the vial, make sure no bubbles are formed. Use a 21-gauge needle to draw the solution from the vial and use a 25-gauge needle to inject. Follow strict aseptic standards to minimize the risk of infection. Clean the treatment area thoroughly prior to injecting. Although the injection depth will vary depending on the area being treated, most practitioners advocate a subdermal injection. Either needles or cannula can be used for Sculptra. One distinct advantage with cannula is that practitioners are able to employ the fanning technique with these devices to cover substantial areas under the skin. To inject large areas with needles would be to introduce more trauma by repeatedly puncturing the skin. As such, using a cannula ultimately results in less risk for bruising. One downside is that if you are inexperienced with the cannula, it may be harder to operate than needles. Nonetheless, needles are still a viable option due to their cost-effectiveness and ease-of-use. An example a needle suited for injecting Sculptra is the 0.5” Terumo 26-gauge needles. You may also consider other brands that have 1.5” 25-gauge needle measurements. You may use longer needles, as with cannula, with the fanning technique in the subdermal layer. A slip-lock syringe may provide a better grip on the needle hub than many Luer lock syringes. If you feel excessive resistive force during extrusion of the filler materials, do not force it. Ensure that you perform aspiration prior to any injection, and make sure that the needle stays in place. This is also important, as the aliquots required for Sculptra to function are relatively larger than other cosmetic fillers. Pay attention to the sensation of blocked needles, as it commonly occurs. Remain still and gentle throughout the injection process to minimize trauma. Finally, after injection, message the area so that the filler material is spread more evenly. A crucial point regarding Sculptra is that is should never be used on areas where there are bony prominences with minimal fat covering, such as the forehead and nose. Other areas of concern are the lip vermilion and the modiolus. Cosmetic fillers should be performed from the top-down, as the requirements for the lower parts of an area changes as the treatment goes on. The temporal hollows require 1 to 3ml of product on each side that are directed into the periosteal level. Make sure to not inject any product into the superficial temporal artery or any of the branches or veins. Using the 1.5” needle, inject Sculptra deep into the superior surface of the arch, and perform the retrograde injection technique. 2ml of filler material should be used, as it can provide the necessary amount of volumization to lift the lower portion of the face. The cheeks need about 2 to 3ml of cosmetic filler material per cheek. Aim the needle over the malar region and inject the Sculptra deep into the periosteum. Utilize the fanning technique here to deposit it into the malar fat pad and cheek fat tissues from a single puncture location. Often, the area most commonly needing volumization is the area over the infra-orbital foramen. Be respectful of the neurovascular bundle that exists here, though, as it is deep and has a fibrous covering. Use one finger to push up fat from a lower position to create a buffer and ensure that the needle does not reach the periosteum. If you are anxious about damaging the bundle, aim a slightly lateral. Place boluses of up to 1.5ml from the medial to the lateral of the mid-cheek without removing the needle completely. Only change the direction of your needle once you have withdrawn almost all of it. Position your needle at a 45-degree angle 5mm medial to the alar triangle. Pull the nose forwards to shift the angular artery away from the injection site. Treating this area can help to lessen the prominence of the masseter and can improve the appearance of the jawline and jowls. In cases where there is masseter hypertrophy, use a 1.5-inch needle, as treating this condition will require a deeper insertion. Do not inject below the parotid fascia and avoid the superficial temporal artery that is in close proximity. Perform the fanning and retrograde injection technique. Use approximately 2ml of filler material in this area. Start treating this area with an injection at the inferior part of the chin along the mandibular rami. This area usually demands a few bolus placements. The mental crease can also be treated, but this area should be treated with a deep injection done with the retrograde injection technique. 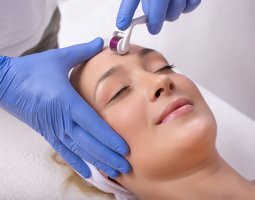 The techniques elaborated above can also be used for any region of the skin, particularly regions that are thin and have had UV-induced changes and/or atrophic acne scars. Post-treatment care is an important step of treatment with Sculptra. Not only will you need to massage the injected areas, but the patient must also do it at home. The recommended duration of such massages is two five-minute massages a day for a period of one week. Many patients tend to massage too little than too much. Convey the importance of massaging and encourage it, so as to help your patients achieve optimal results. Niamtu J. Injectable Fillers: Lip Augmentation, Lip Reduction, and Lip Lift. (ed). Cosmetic Facial Surgery, 2nd ed: Elsevier; 2018. pp. 569-638.